Diane Stortz has lived diversity. She was born in Detroit but moved to Southern California when she was only four. After graduating from Arizona State University with a journalism degree, she moved to Cincinnati. An interview with Standard Publishing netted her an editorial job developing a new Sunday school curriculum for two- and three-year-olds. 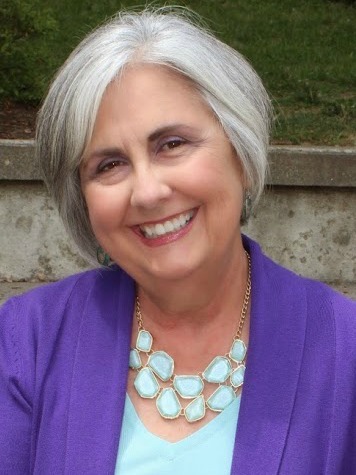 Many years later, now a freelance writer, she still combines writing and editing with the presentation of the Gospel to the “next” generation. Diane and her husband of thirty-nine years have two grown daughters and four young grandsons. I could have been born with a book in my hand! I loved reading from the moment the words “Jane, see Spot run” came together on the teacher’s big easel in first-grade reading circle. (Yes, I am a child of the 1950s.) I never struggled to write in school, I got a journalism degree in college, and I started working for a Christian publisher, editing and occasionally writing. I think that, at the time, writing was just the way I communicated best. Then one night over dinner, agent Etta Wilson listened to me pour out some of my publishing-world woes (by that time I was a manager). “Well,” she said, “when you’re ready, I’ll represent you.” I hadn’t even admitted to myself yet that I was thinking about striking out on my own! But it was only about a year later that I did, and Etta did represent me until she retired. Just as all good novels include a plot twist, the Author and Creator of our lives often includes a twist that ultimately blesses us more than our original plans. Have you ever experienced such a “Divine Detour”? Leaving full-time employment in publishing to begin freelancing certainly was one. I never expected to do that, and for a time I felt quite invisible, or anonymous, without being attached to a publisher. These years have allowed me wonderful time and flexibility for family, however—I’m G (my grandma name) to four little boys now—and for ministry, such as writing a book for parents of missionaries and leading workshops at missions conventions with my co-author. Having our oldest daughter and her husband become missionaries for six years was a “Divine Detour” itself that resulted in lots of personal growth. But the biggest God intervention in my life was the night I drove through a raging January thunderstorm to attend the first meeting of a new women’s group forming to read through the Bible in a year. I knew I was supposed to go and I was determined to get there, but I couldn’t begin to imagine how my experiences with that group would impact my life, or others’ lives. I wouldn’t have written any of my books if I had not been part of that group. 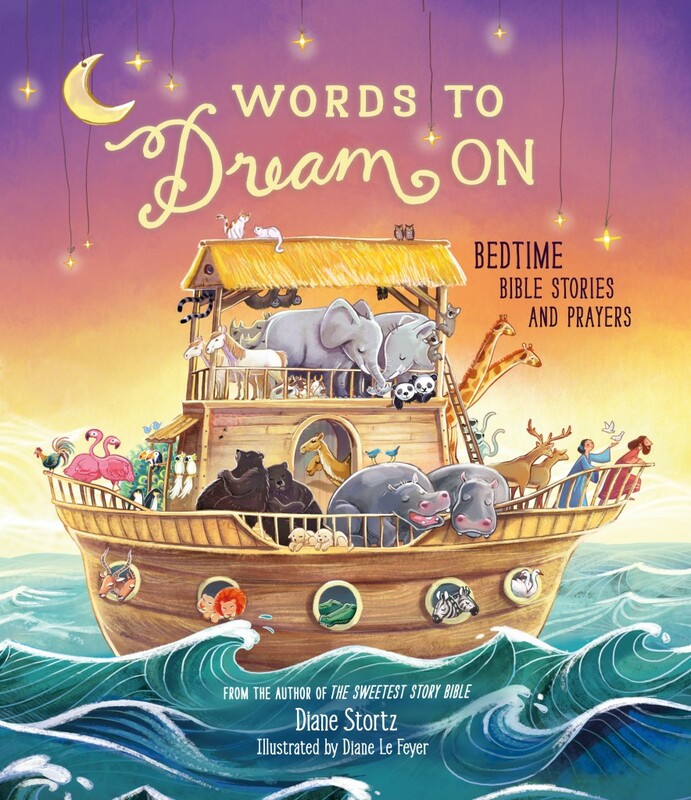 Let’s talk about Words to Dream On: Bedtime Bible Stories and Prayers (Tommy Nelson, February 2015). Please tell us about it. I wanted to write a bedtime Bible storybook with a classic “once upon a time” feel while remaining true to God’s Word. The Tommy Nelson team caught this vision right away, and illustrator Diane Le Feyer captured it beautifully in her illustrations too. The book works as a devotional too. It has fifty-two stories, each with Words to Dream On—a Bible verse—plus a Sleepy-Time Prayer and a Bedtime Blessing. I always want to tell the whole Bible story, from Genesis to Revelation, in any Bible storybook. For this book, I especially wanted to include stories that would help create a strong sense of security in God’s love. All the stories in the book focus on God—His power, His protection, His promises, His loving care, His plan. For example, in the story of the fall of Jericho, after the walls fall down, I didn’t write about the battle, but about how the Israelites could now keep moving forward in the Promised Land that God was giving them. God often uses our work to teach us something. What did you learn from the project? The value of a good team, I think, to help us shape and refine our projects. And the necessity of fully embracing the message of all I write and being willing to get out there with it, beyond the printed page. For example, I just agreed to speak at a women’s event at my church later this month. I’ve never done that before—yikes! But . . . OK! Good coffee is essential. Then something sweet, alternated with something salty. Although I’m really trying to eat healthfully . . . lots of salads, nuts, seeds, fruits and veggies. Maybe one day those will be my comfort foods! You write about dreams, so let me turn the table on you. If you knew you couldn’t fail, what dream would you pursue? Good question, hard to answer! In another life, I’d be a musician and a ballroom dancer. Right now, though, my goals are simple: keep writing, be healthy and strong, and leave a faith-filled legacy for my family and friends. Perhaps the famous sisters Mary and Martha. Like Martha, I’ve often felt that making things happen was up to me. But like Mary, I’m learning that the best choice is to sit quietly and listen to Jesus. Well, I’ve never mastered really high heels! And I’ve been something of a late bloomer. But I hope I’m strong too, especially the longer I walk with Christ. I love dogs too. But in the past decade I’ve had two house rabbits, or urban rabbits as they’re sometimes called. The first, Isabella, was a mini lop who weighed about eight pounds, and the second, Pepe, adopted from the House Rabbit Society in Columbus, Ohio, was a four-pound Dutch rabbit. Rabbits are intelligent, sensitive, and sweet. To be healthy, though, they need room for exercise, activities to keep their minds engaged, and lots of greens—never feed just the pellets sold in stores. And find a vet who knows something about rabbits, please! Thanks, Diane! It’s a pleasure to have you as a guest at DivineDetour. For more information about Diane, visit her website.